We now have an opportunity to proactively change the narrative. The challenge is engaging the people that are on the sidelines. Twenty-five of the supplement industry’s leading executives met on Wednesday March 13th to collaborate and brainstorm ideas about creating a more transparent supply chain. With industry concerns mounting over increasing consumer and regulatory scrutiny, and vulnerability to ingredient adulteration, supply chain transparency delivers a win-win solution in that it addresses these challenges, and simultaneously makes the world safer for consumers at retail. Beyond technology, how a brand’s transparency is communicated to consumers is a critical piece of the overall equation. Rend Al-Mondhiry, Senior Counsel at Amin, Talati, and Upadhye, addressed the group from a legal perspective, noting that even thee most well intentioned companies run the risk of legal action if their messaging isn’t 100 percent accurate. Al-Mondhiry advised the group that above everything, supplement companies must make sure that with any verbiage that implies a health benefit, they will need to be able to substantiate it with concrete data. Bethany Davis, Director of Advocacy and Government Relations at MegaFood, noted that there is definitely a long-term halo effect for brands that ultimately become associated with transparency, noting that MegaFood “lives and breathes transparency” through open dialogue with their customers about suppliers, and a program they call “Big T Transparency” where they have live cameras on throughout the manufacturing process, allowing customers, retailers, and partners to see supplements created in real time. Steve French, Managing Partner at NMI, A strategic consulting and research firm, noted that there is quantifiable data from well established data sources like PriceWaterhouse industry reports that show conclusively that companies with sustainable practices which include transparency, have both higher profit margins and greater levels of customer loyalty. Speakers at the event offered further, optimistic support to the premise that industry transparency is no longer aspirational - but doable. Jeff Denton, Senior Director of Global Secure Supply Chain for AmerisourceBergen, said that “track and trace” transparency solutions that are working today with major pharmaceutical companies could definitely be applied to the supplement industry. 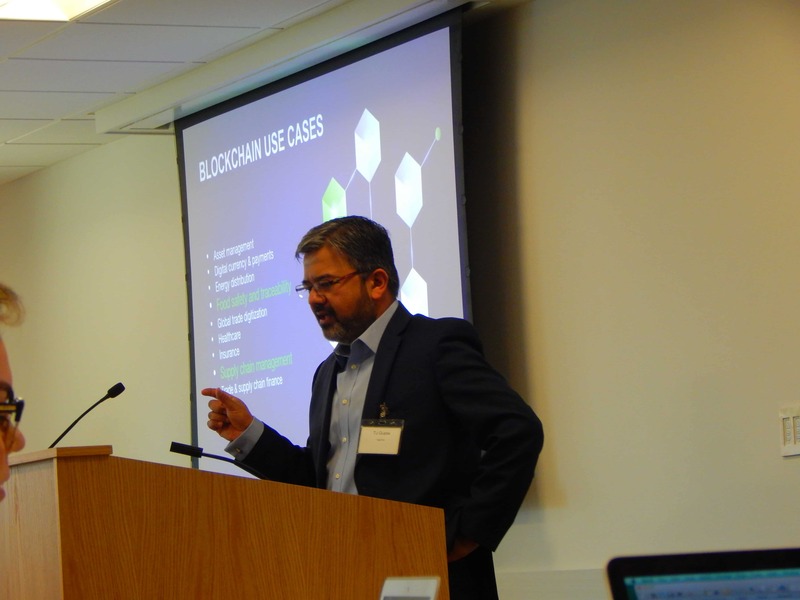 Dr. Anand Swaroop, CEO of Cepham, an integrated research and manufacturing company, told the story of his company’s implementation of a technology-driven supply chain management system that has led to increased transparency and significant operational benefits. The overall consensus among executives at the conference is that the broader transparency conversation within the industry needs to not only continue, but also expand to more executives, with a goal of creating a safer world for consumers. According to Len Monheit, Managing Partner at the Trust Transparency Center, it’s a much smarter strategy for more leaders to come together to address transparency proactively, as opposed maintaining the status quo, and running the risk of facing large-scale challenges in the industry. “We now have an opportunity to proactively change the narrative. The challenge is engaging the people that are on the sidelines." TagOne LLC: is a technology company that delivers transparency to the supplement and food industries through innovation in supply chain management. Its platform empowers B2B customers with End-to-End (E2E) track and trace capabilities, resulting in increased operational visibility and leadership agility. Learn more at http://www.TagOne.com.